Dataloggers, Sensors, Telemetry, and Software for any of your future projects. 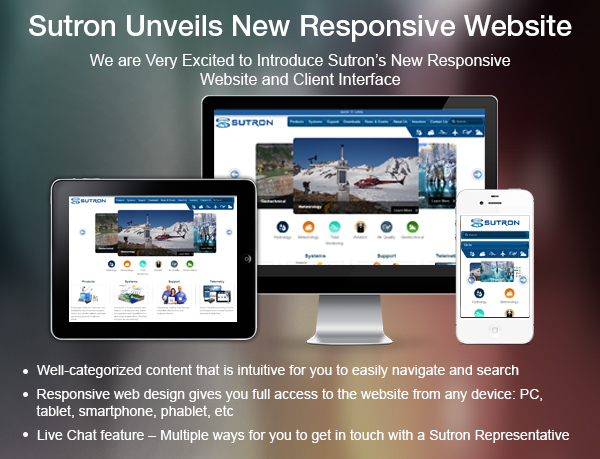 Sutron also has the ability to customize our existing products to suit your needs. View Sutron’s Turnkey Systems and Stations, or design your own. 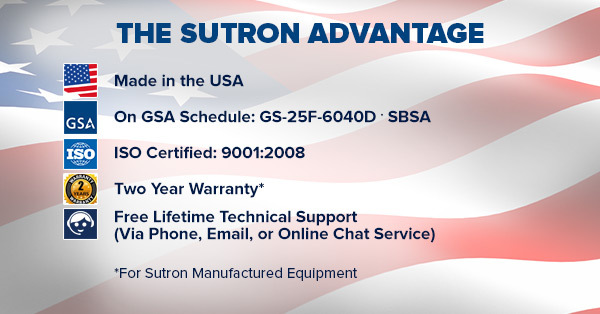 Sutron has experience and capabilities in a wide variety of applications. What type of project are you planning? Engineering, Training, Data Services, Installation, Maintenance, and Customer Service. We have the telemetry solution whether your project involves Satellite, Cellular, Line-of-Sight Radios, Wireless, Direct Connect, or Telephone & Landline.